Take the hassle out of arriving somewhere new with a hungry family to feed by pre-ordering all you need for dinner, breakfast, barbeque or even a picnic hamper. 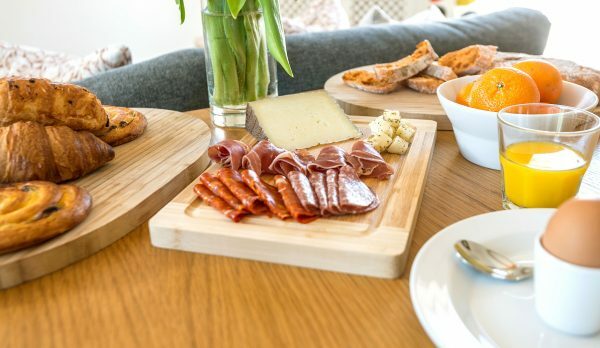 We work with a number of excellent local suppliers who use the best of Norfolk ingredients and who can deliver food orders to our door ready for your arrival or for you to pick up during your stay. 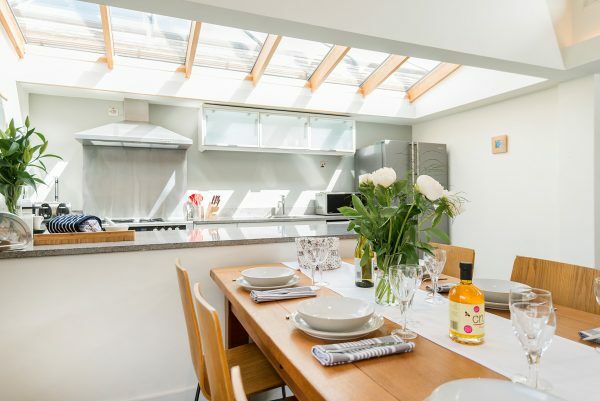 Alternatively if you have booked your self catering holiday with us for the freedom and space it offers but have no intention of cooking take a look at our local Norfolk catering suppliers list. We are now offering our guests a chance to book a private chef experience through Dineindulge. 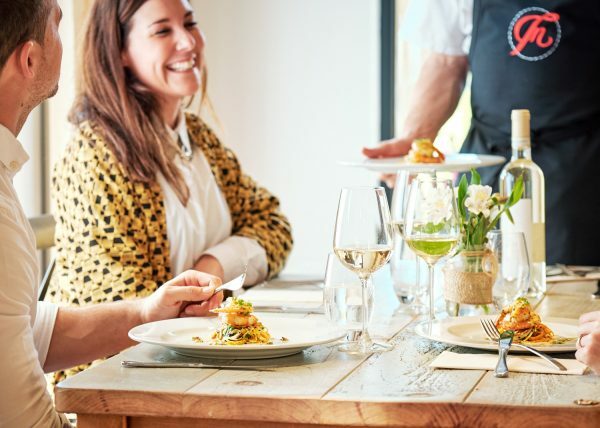 Combining a personal chef hire service with restaurant quality cuisine, Dineindulge is designed to be affordable, accessible and simple for you to book at time you want them. 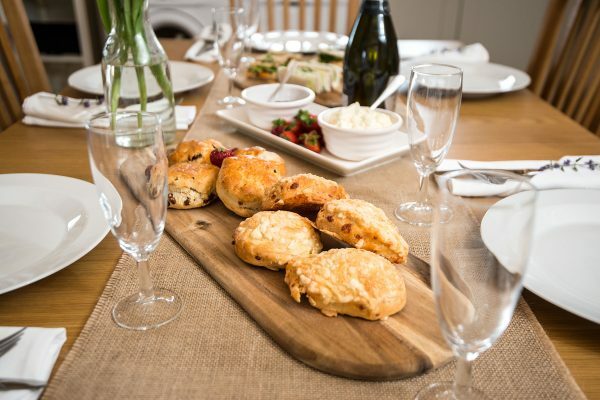 Ideal for special occasions, you can quickly and easily choose a menu and book a chef to prepare fresh gourmet food to enjoy in the comfort of your holiday cottage. All you have to do is choose and order the dishes you like, then simple pop them into the oven and enjoy. 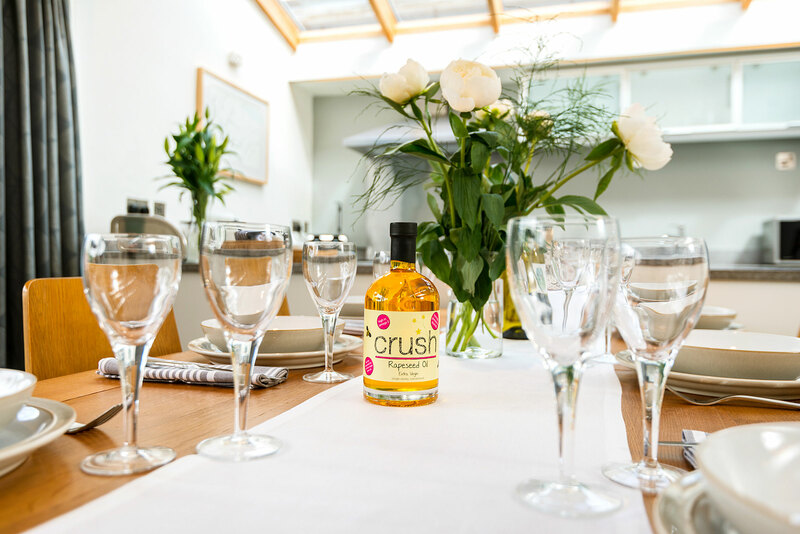 Helping to take the drama out of what to cook on arrival or knowing you have dinner ready back at your cosy cottage after a long day out exploring the beautiful North Norfolk Coastline. Tesco, Sainsbury’s & Waitrose all deliver to our properties. Please ensure that you are here to check your delivery and stow it away as we are unable to check in deliveries on our guests behalf. Please let them know the name of the cottage when you book. Jennifer Renshaw makes our welcome cakes using her own homemade jam, eggs from her own hens and lots of love. She also sells her homemade jams and preserves as well as her cakes online. If you are interested in buying any for your holiday please email us and we will organise.